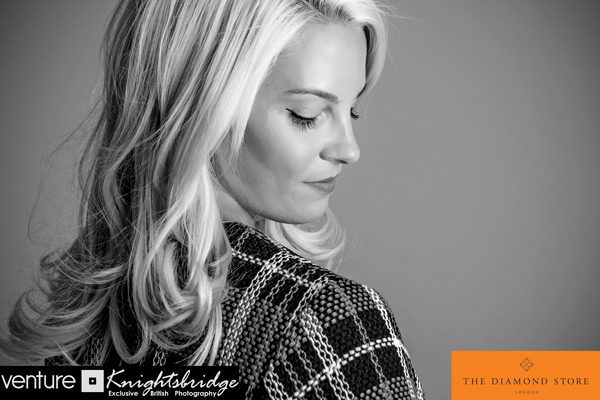 Last week, I was asked my The Diamond Store, and Venture Photography in Knightsbridge, to take part in their “Million Dollar Blogger” event. The morning involved hair, make-up, choosing from a wide variety of, you guessed it, diamonds, and playing dress-up with stylist Hayley Korn. “Whats The Diamond Store, AG?” I hear you ask. Well, it’s the largest online retailer of diamonds in the UK with over 20k products and all sorts of different stones, so there’s something for every budget. All of the diamonds on The Diamond Store website are ethically and responsibly sourced , meaning you can be at peace of mind about your bling. The photo shoot was held in the lovely Venture Photography space, just across the road from Harrods. It was a really fun morning with other great bloggers. Thank you to all of the Diamond Store and Venture Photography team for having me. *All jewelry worn above is from the Diamond Store, apart from my own engagement ring.